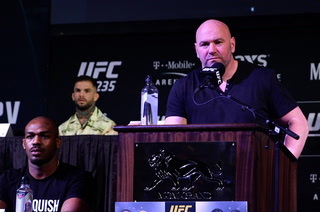 It’s been nearly two years since Conor McGregor stepped inside the octagon, yet UFC president Dana White marveled at how the star fighter hasn’t lost a step in at least one aspect of his game. 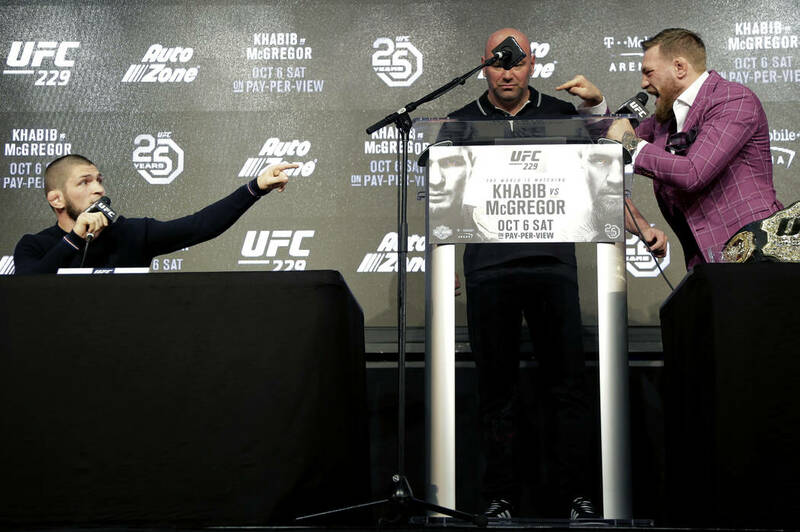 McGregor was his usual outrageous self, hurling insults at Nurmagomedov’s family, manager and even political allies in Russia. 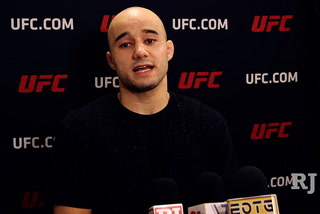 He singled out Nurmagomedov’s manager on a deeply personal level, referencing his alleged cooperation in an FBI investigation and insinuating he’s a deadbeat dad. “It was dark, man,” White said to a group of reporters after the event. 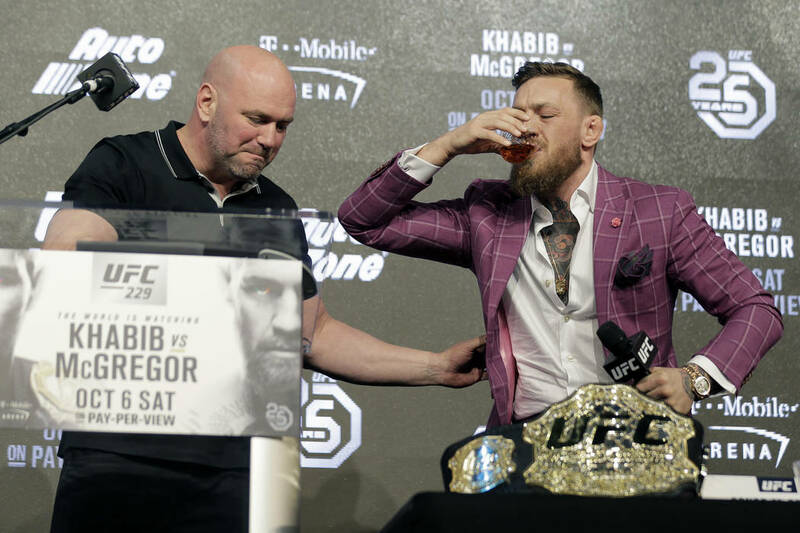 “It was the darkest press conference I’ve ever been a part of, but Conor McGregor is the master of mental warfare. I’ve said it before and I’ll say it again, I think he’s better than everybody, even (Muhammad) Ali. You don’t ever want to say anybody’s better than Ali, but I think when it comes to the mental game in this sport, or any other sport, Conor McGregor is the best ever. He may be too good at getting under opponents’ skin. 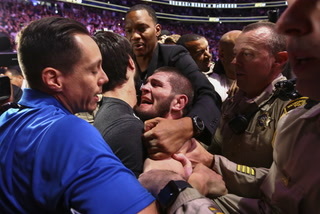 UFC officials made the decision to not open the event to the public in case tensions boiled over into the crowd. 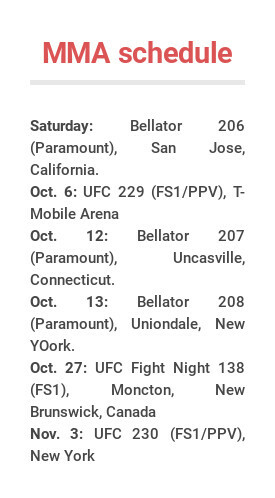 It may be different for the fight-week news conference in Las Vegas, which is expected to be open to the public. Internal numbers suggested the fight is trending at 2.5 million buys, according to White. That would be the biggest number generated by a UFC event and would be right around the number Floyd Mayweather did for his bout against Oscar De La Hoya. 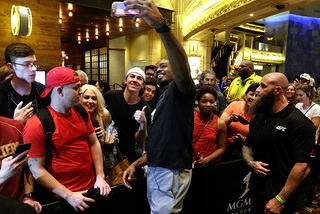 White reiterated Jon Jones, who will be free to come off suspension in late October, will not headline UFC 230 at Madison Square Garden on Nov. 3. 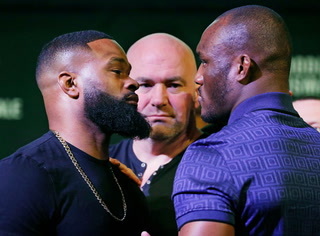 While the event is still without a main event and he wants to get Jones a fight, White isn’t sure Jones is in shape to start a fight camp and cited tumult at Jones’ gym as a possible obstacle. 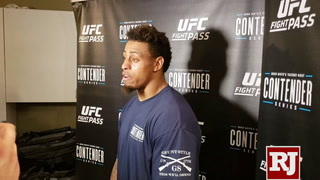 White has said it would be difficult to place Jones in a position to carry the promotion of a fight card after he has slipped up multiple times, but sounds willing to give it another shot. 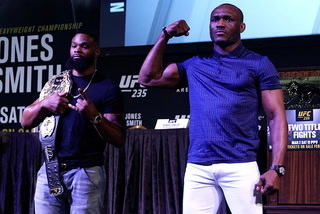 White said welterweight champion Tyron Woodley’s next fight will be against top contender Colby Covington. 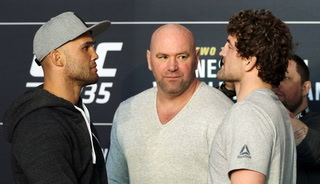 It won’t happen at UFC 230. 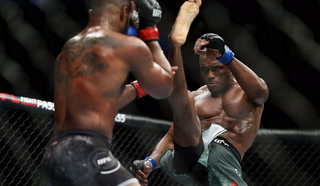 Woodley suffered a hand injury during his title defense against Darren Till earlier this month and will have surgery to repair the damage, keeping him out of action for at least the next eight weeks, according to ESPN. White indicated he has no interest in offering YouTube star Logan Paul a fight in the organization. 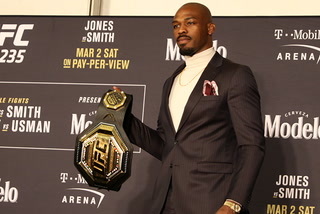 Paul has been very outspoken in his desire to compete in the UFC after fighting fellow internet sensation KSI to a draw. “The guy would get murdered here,” White said. 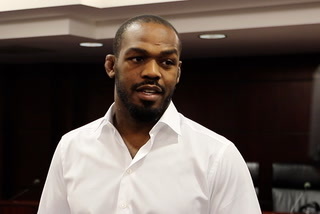 “If I ever let him fight in the UFC, I should be arrested. Paul fired back on Twitter. damn. you’re thinking real simple D.